Nightmarium: a card game about building nightmares. Ares Games announces a new revised edition of “Nightmarium”, a card game about building nightmares successfully funded on Kickstarter in 2016. With this new edition, expected to release in January 2019, the game will become available in the US hobby game market and in other countries. A preview of the game will be presented at the Essen Spiel 2018, in the Ares Games’ booth – Hall 3, E100. Nightmarium is a fast-playing card game for 2 to 5 players, where players create nightmarish "Night Terrors" and vanquish opponents’ monsters by using their powers. 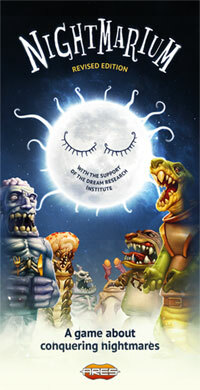 Players combine cards representing body parts to complete surreal creatures and trigger their spine-chilling powers. A complete creature is made up of three parts: legs, a torso, and a head. Most cards have a special ability that is activated when the player completes the creature. 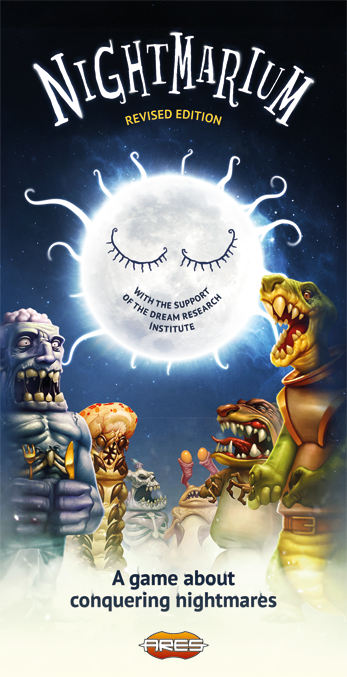 The new edition will include the expansion “Legions of Horrors”, featuring a new type of cards that can be played on top of a completed creature to make them become “incarnated”- allowing them to activate some abilities a second time, while becoming immune to all abilities until the end of the game. “Nightmarium is a simple and fun game, but with a deep gameplay and an imaginative and unique artwork. 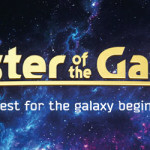 It’s a great addition to our card games line, and by publishing it we extend our collaboration with Igrology, started with Master of the Galaxy”, said Roberto Di Meglio, Director of R&D of Ares Games. Nightmarium was created by Konstantin Seleznev, the same game designer of Master of the Galaxy, with artwork by Erbol Bulentaev. Before its first edition funded on Kickstarter in 2016, Nightmarium already released successfully in Russia, with over 13,000 copies sold.